We know you want to do good, but often don’t know what to do and where to go. To make it easy for you, here are suggestions of simple and impactful causes to get involved in. Do-good drives don’t have to be dull. You can surf for change, help house a horse, play dress up to help a needy woman nail a job interview, or get served at the cafe at Brownies and Downies, the NGO that trains mentally disabled people for jobs. These are just some of the causes you can choose when you join our Million Minutes for Mandela. The Cart Horse Protection Association protects working cart horses and donkeys on the Cape Flats. On Mandela Day, they are helping owners of cart horses to rebuild stable yards. Bring along hammers, saws, large nails, boots and gloves to help. Help long-term: There are several volunteer days – labour or donations are needed. Eat your meals at Brownies and Downies, an NGO and training centre for people with intellectual disabilities. It will help train their recruits and the money funds extra costs, like travel for the trainees, food, paying trainers. Help long-term: Partner with them on some projects. Atlantic Hope, a safe house for vulnerable babies, needs trauma counsellors, psychologists, nurses, night carers or secretarial workers for Mandela Day. Where to go: Sea Point. As they are a place of safety, the address can’t be shared until you’ve arranged to get involved. Help long-term: Donate your time as a volunteer, or give nappies or clothes. Contact: Fill out this form and they will contact you. Dress for Success helps women in need become more employable. This year they are supporting 67 women with 67 new resumes during Mandela Week. Donate work-appropriate clothes or volunteer your time to conduct mock interviews with the women, give resume tips or help with administrative work. Help long-term: Donate work clothes, money or volunteer at any time of the year to help these women on their way to being self-sufficient. Contact: +27 (0)73 166 6173 or capetown@dressforsuccess.org. On Saturday, 14 July, bikers ride to Drakenstein Prison in Paarl with the aim of collecting sanitary pads for the 3 million girls who miss school annually because they can’t afford sanitary products. Riders are asked to bring one or more packs of sanitary pads to be distributed to needy girls. Where to go: Grand Parade in Cape Town CBD. The ride departs at 9:30am. Help long-term: Bikers can take part in other annual rides for charity. From now until 18 July, drop off dried soup mix, dried lentils, beans, sunflower oil and sugar at Yumcious at the Cape Quarter. On Mandela Day come along with a knife, chopping board, potato peeler and ingredients to make 1000 litres of soup for the poor. CAFDA (Cape Flats Development Association) serves the poor and needy of the Cape Flats. On July 18, they are painting their Skills Training Unit. All you need to bring on the day is a paint brush and some elbow grease. Help long-term: Volunteer at their skills centre or work at one of their stores. Running4Pads, which supports girls from 12–18 years old who cannot afford sanitary towels, is asking you to start sanitary pad drives and drop off your collection at one of their collection points around the city. This is to help some of the millions of girls who miss or drop out of school because they can’t afford to buy pads. Where to go: Collection points are various places around Cape Town. 67 Loaves is a charity organisation creating employment opportunities for underprivileged people and communities. They are asking for help to sponsor 67 loaves of bread for 67 days leading up to Mandela Day, 18 July, which will be distributed to the Delft community. You can get involved by working in their bakery in Delft or by handing out bread on Mandela Day. Help long-term: Donate to their Earn As You Learn initiative by sponsoring the training of an unemployed individual. Donate some old surfing equipment to help Inclusive Surfing South Africa and the Believe in Schatzi Organisation reach their goal of 67 wetsuits and 67 surfboards to help abled and disabled kids with surf therapy and learning to surf. Or spend your 67 minutes helping out in the water with this surf therapy initiative. Lend your DIY skills to help kids make a toy from waste at non-profit kids educational organisation, Cotlands Playground and Toy Library, who run an array of early childhood development programmes. You'll be giving a toy and spending quality time with a child. Help long-term: Donations are always welcome. Order muffins or volunteer to help bake muffins on the 17th and 18th of July. Each muffin sells for R20, which provides two people with a meal and one night's shelter at the Haven Night Shelter. Join CANSA TLC (Cancer Association of South Africa) in painting T-shirts to raise money and awareness, as well as creating a sense of community to support children affected by cancer at Tygerberg Hospital. Help long-term: Support various fundraising events such as the Relay For Life run. The South African College of Applied Psychology (SACAP) and the Langeveldt Foundation are fixing the kids’ park at the Tafelberg Creche. Artists are needed to paint a mural, and volunteers are needed to help fix the playground and creche facilities. Stationery packs and lunches will be provided by SACAP. Help long-term: They run a daily feeding scheme and sponsor kids with stationery, uniform and school fees. All donations are accepted. This Mandela Day, AroundAbout Cars car hire will be cooking up a storm and providing soup for everyone who needs it outside their offices. This is an internal company initiative to give back to the community. If you are in the area, pop by and say thank you! Bless-a-Baby helps underprivileged newborn babies and their moms by providing essential baby care items. On Mandela Day, they need 10 volunteers to help them pack bags and sort donations. It will take four hours of your time. Help long-term: Donate care packages and help pack bags. Read to Rise, an NGO that helps young learners in Cape Town through literacy programmes, is looking for volunteers to help them design social media ads, set up HR policies and fundraise. Help long-term: Ongoing volunteers are needed to help maintain the website and assist with social media campaigns. Radisson Blu and Park Inn by Radisson Hotels in Cape Town will collect sweet treats, which will be bagged and passed through the crowds at the interaction points. Care packages will be prepared and donated to the homeless and housekeeping packages and linen will go to SOS villages. 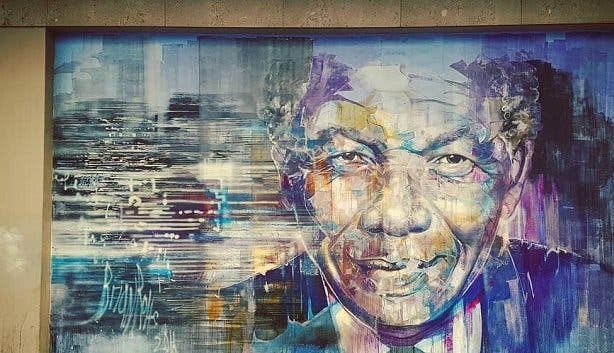 Learning in Reach, a bursary fund that focuses on empowering the youth through education, is hosting its Mandela Day Maker Space & ECD Showcase, where you’ll assist in making literacy and maths resources to help kids learn better. Materials will be provided and you’ll be guided through the process. Timeslots of 67 minutes, starting from 9am, need to be booked. Help long-term: Make financial donations to Learning in Reach as they have ongoing projects to provide education. Habitat For Humanity, an NGO dedicated to providing shelter in the best way to fight poverty, needs your labour to build homes in various worthy communities around the Western Cape. All materials will be provided. Starts from 8am. Simon Orgill from Sep & Simon, comedic vloggers, is leading a volunteering day at the SPCA in Grassy Park. The informal event focuses on information about the animals that are currently taken care of at the SPCA. Follow Simon on Twitter or contact him via social media to find more details closer to the time. If you would like to volunteer on 18 July, email info@capespca.co.za to book a time slot. Help long-term: On the day you can sign up to volunteer at the SPCA. Help Tears Animal Rescue to refurbish their animal shelters and beautify the area. Bring nails, hammers, toolboxes, a drill, bricks and cinder blocks, shelf brackets, enamel paint, paint brushes and rollers, painting trays. To garden, bring potting soil, seedlings, water-wise plants and cuttings. The project runs on Mandela Day and over the 21–22 July weekend. Help long-term: Give dog and cat food, blankets, toys, chews, hooves and treats, peanut butter, harnesses, collars and leads and cat litter. Drop off at the Tears offices in Sunnydate. Contact: +27(0)21 785 4482. If you have a group of 5 or more, email volunteer@tears.org.za to book a time slot slot. Shine Literacy gives Grade 2 and 3s from poor schools throughout Cape Town one-on-one literacy training. On Mandela Day, Shine Literacy will be running a drive to donate books for Grades 1–3 to Bright Student Learning Centre, which was started by a former refugee who is now the head of school. The centre is in desperate need of books, stationery, desks, chairs and computers. Help long-term: Sign up to be trained to be a tutor at a local school. Not sure we celebrate Mandela day? 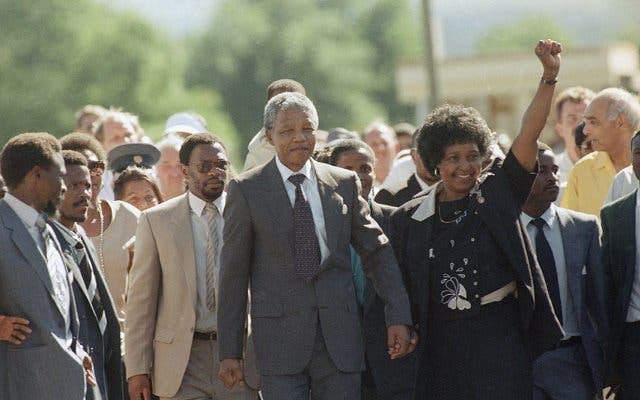 Check out this video of the Elders which is sure to inspire you and if you are keen to check out all Cape Town's major landmarks of Madiba then see our recommendations while perusing through Tata's Mother City memories.